Fence Workshop™ supplies aluminum fencing across Jacksonville, FL. Fence Workshop™ of Jacksonville, FL is a distributor of Ameristar Echelon aluminum fences as well as a variety of other types of aluminum fences. Jacksonville is an eclectic city made of different people and different properties. 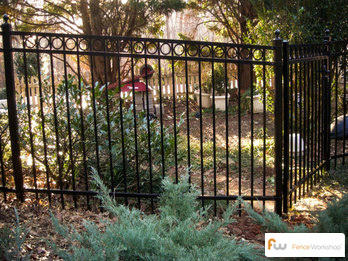 Aluminum is a versatile solution for the fencing needs on any type of property. Whether you live in the suburbs and you are looking for privacy, or if your downtown Jacksonville business could use a little more security, an aluminum fence can do the trick. Our Aluminum fences are beautiful, functional and built to last a lifetime. 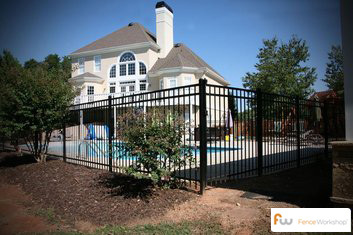 Because we are wholesale distributors of aluminum fencing in Jacksonville, we are able to offer some of the most competitive prices supplying aluminum fences in and around Jacksonville, Florida. 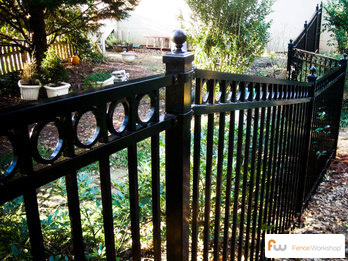 Why choose Fence Workshop™ for aluminum fencing in Jacksonville, Florida? We supply aluminum fences in Jacksonville, Florida and surrounding areas like Tampa, Orlando, Daytona Beach, Destin and more. Farm Fences Jacksonville, FL. Steel Fences Jacksonville, FL. Wood Fences Jacksonville, FL. Vinyl Fences Jacksonville, FL.